I like Firefox, so most time I use it to surf online. 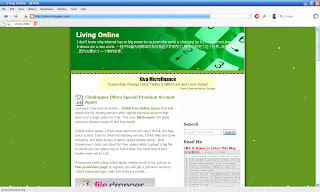 Firefox is a strong internet browser, like any main internet browser Firefox also made bigger and bigger now. Sometimes we need a tiny, clean, and fast browser, no too fancy, no too much functions. I had a try, its interface is clean, no any fancy features, but running fast. It is a great browser for people who want a clean, fast, and secure browser.